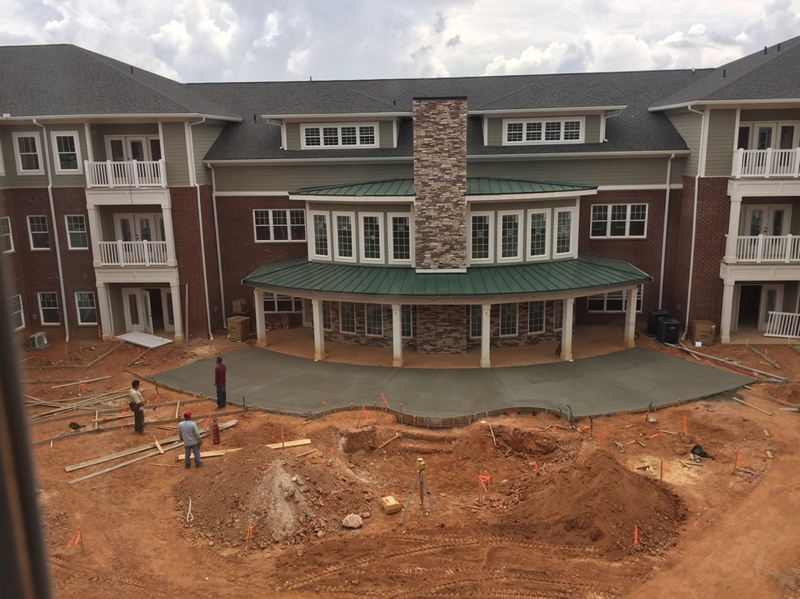 Wisteria Place is to be a 55+ apartment community located at 100 Wisteria Gardens Circle, in Newnan, Georgia. 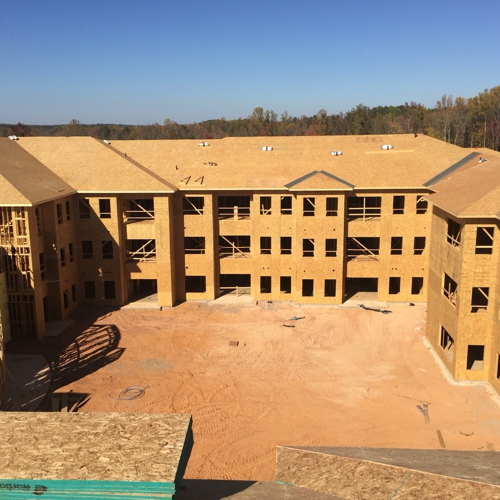 Wisteria Place will provide a total of 120 residential units. 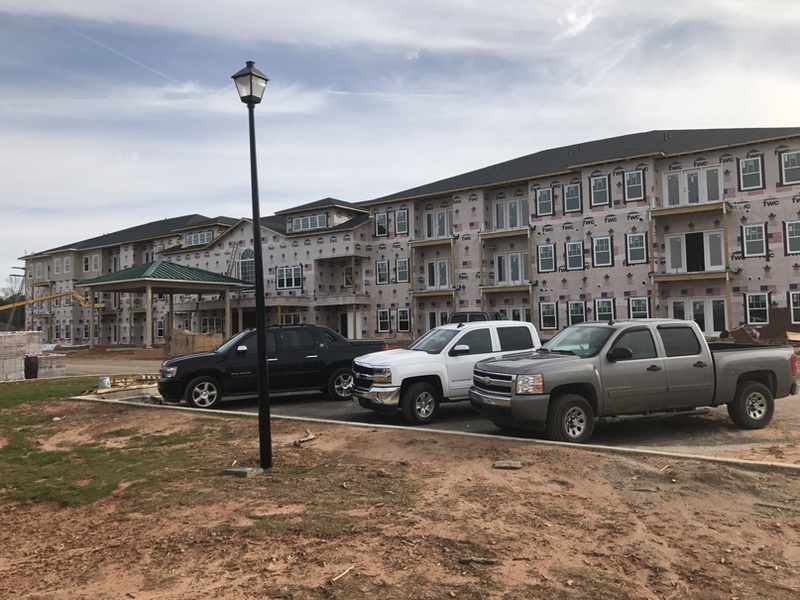 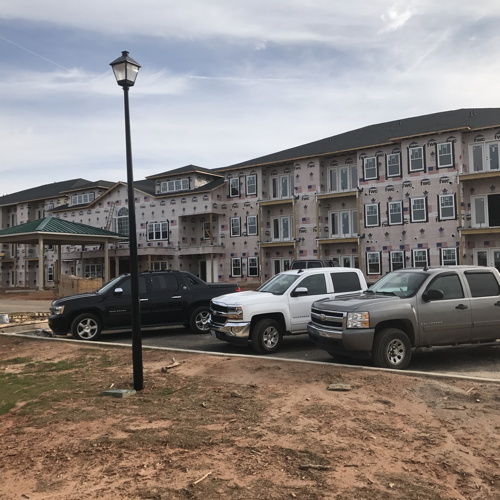 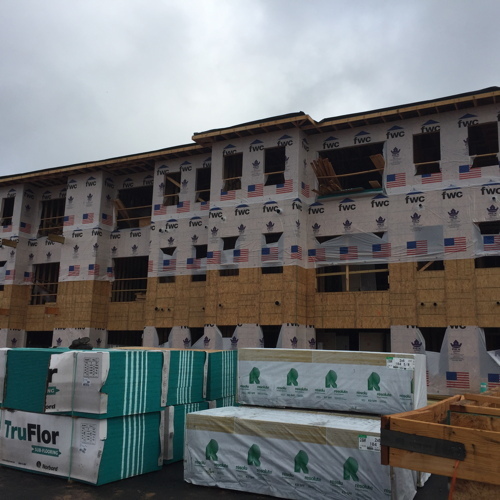 Twenty-six of the units will be located found in Villas while 94 will be in a three story building including many community amenities. 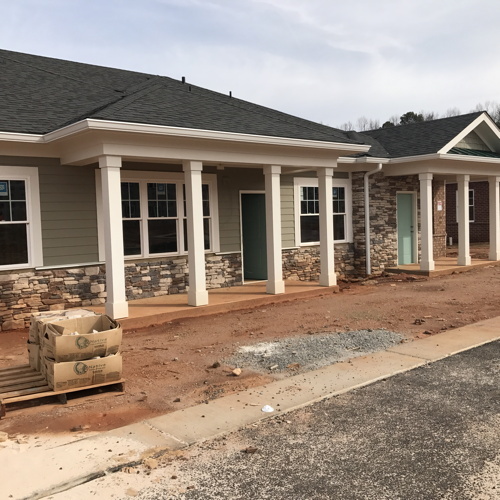 Wisteria Place is located within a very short driving distance for many local services including shopping, dining, medical services, mechanical services, and places of worship. 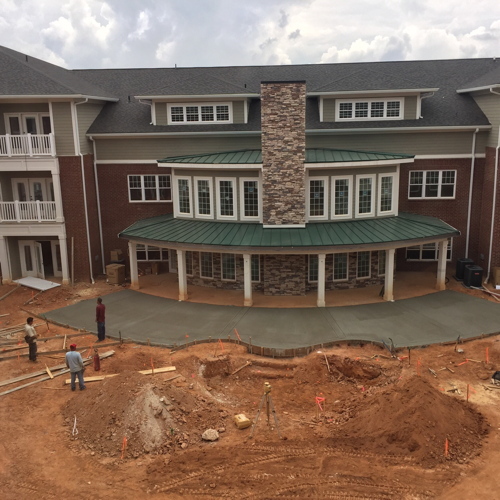 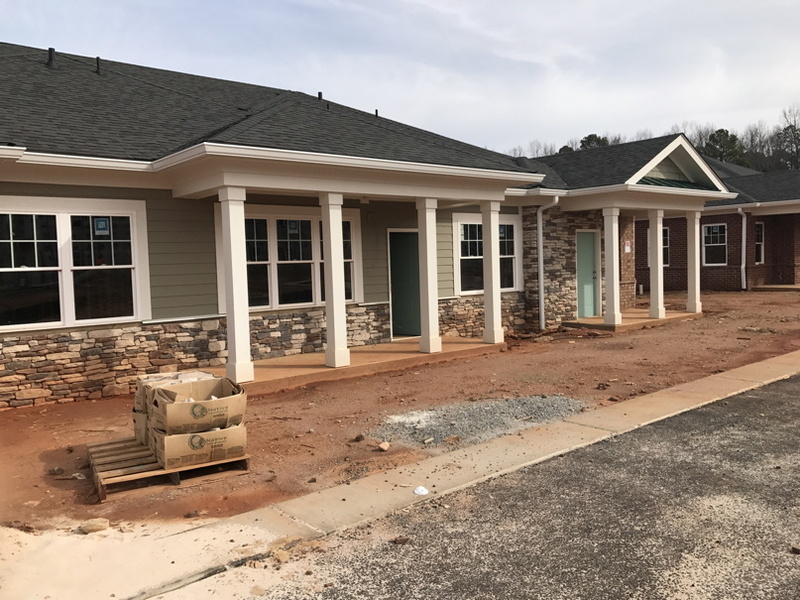 This property is being developed by the Beverly J. Searles Foundation, an organization that focuses on enhancing the lives of senior adults. 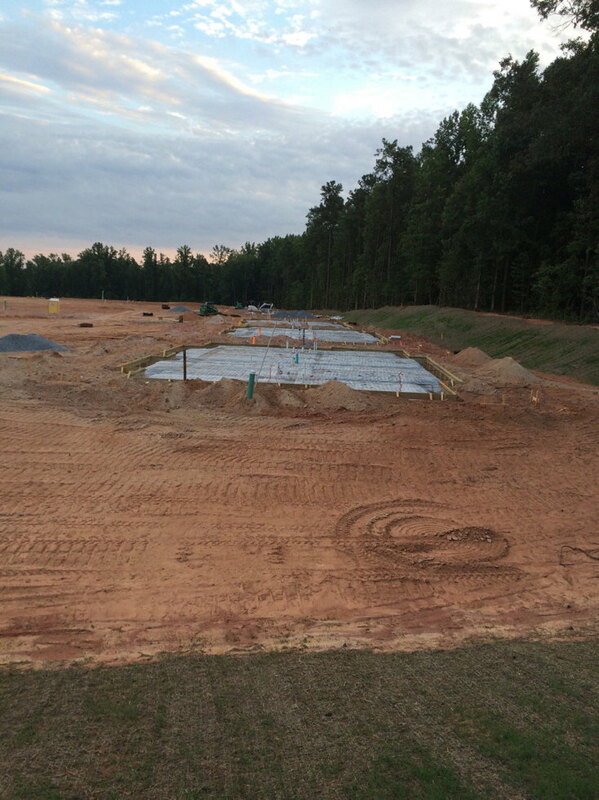 Fairway Construction is acting as the general contractor. 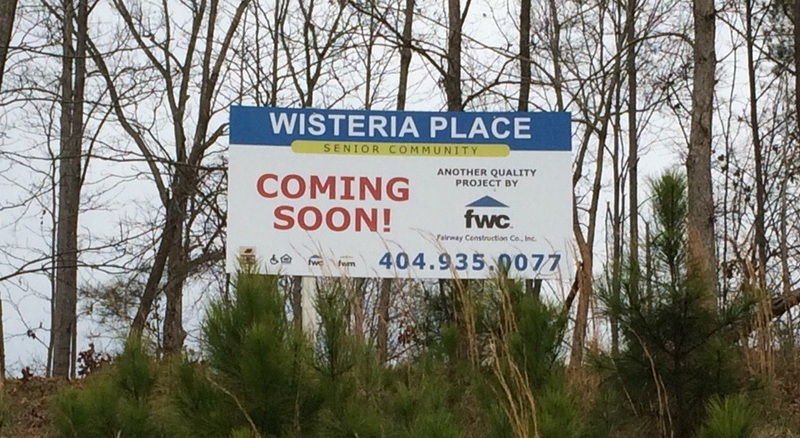 The developer and builder are seeking EarthCraft certification for Wisteria Place. 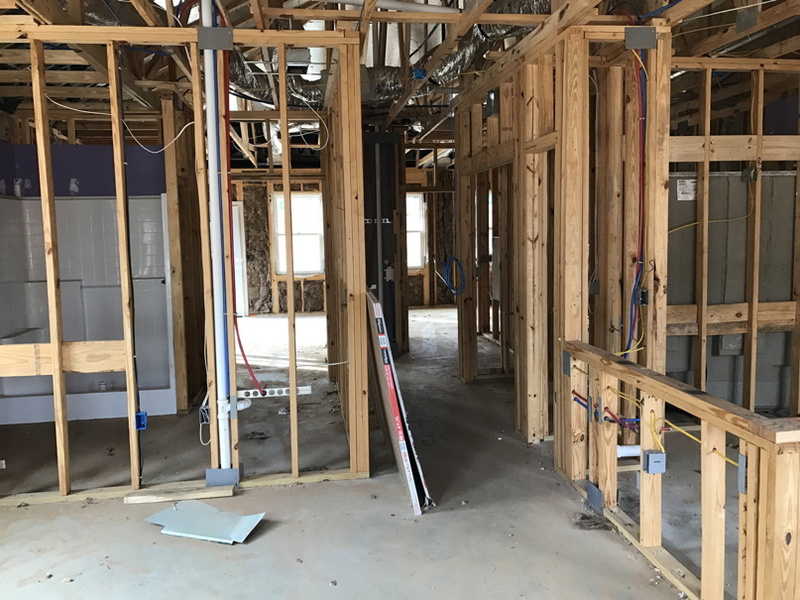 Synergy Home Advantage’s only role at Wisteria Place is to provide Energy Efficiency Related advisory, inspection, and testing services. 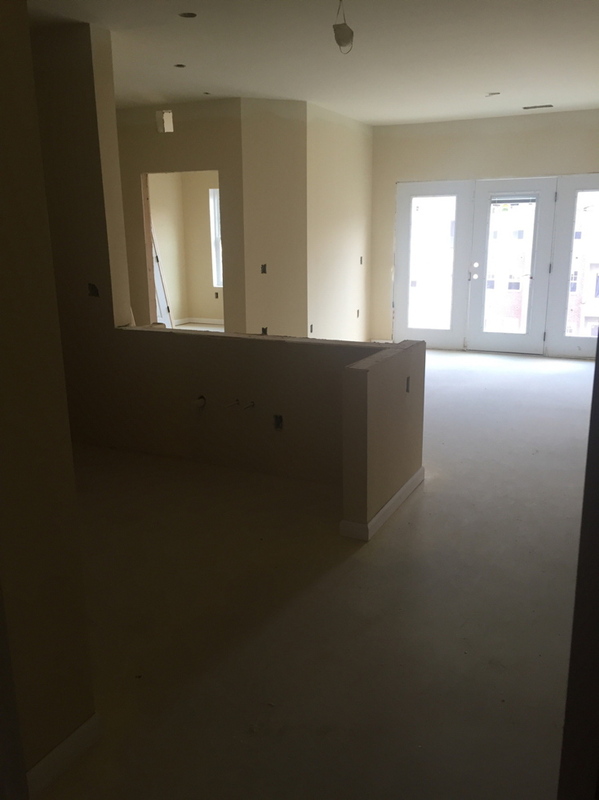 We have no other role in this project. 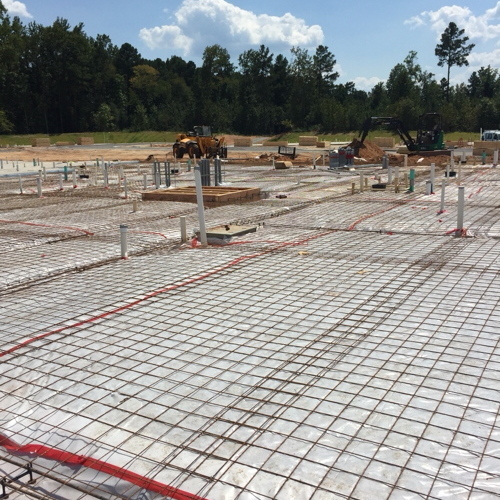 This is a portion of the foundation for the large building. 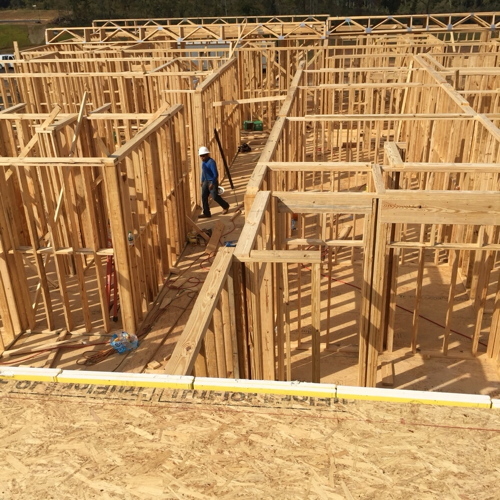 This is part of the large buidling framing. 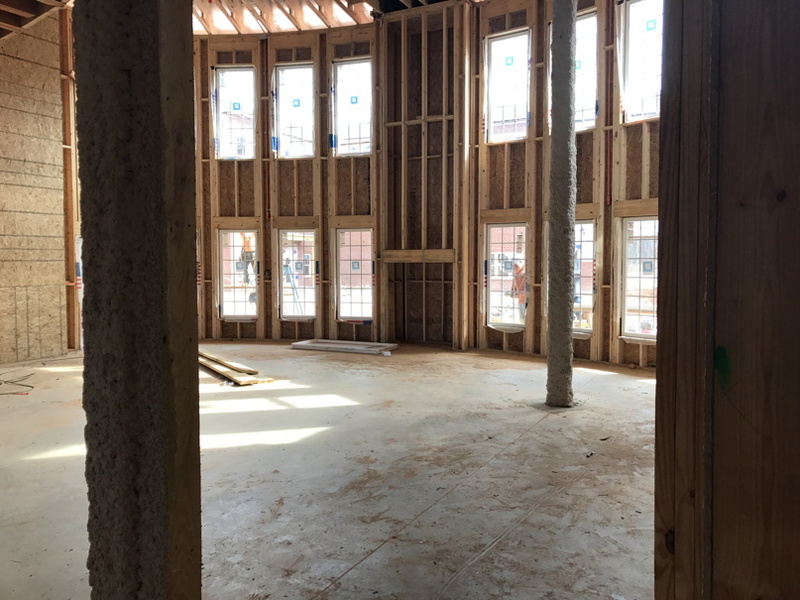 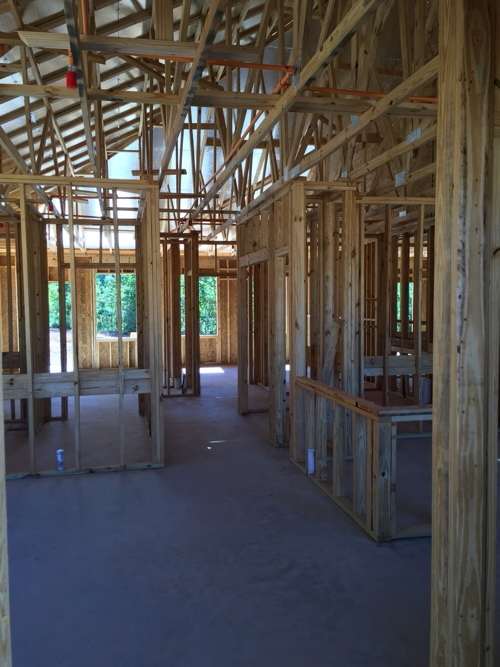 This is a view of the second floor framing. 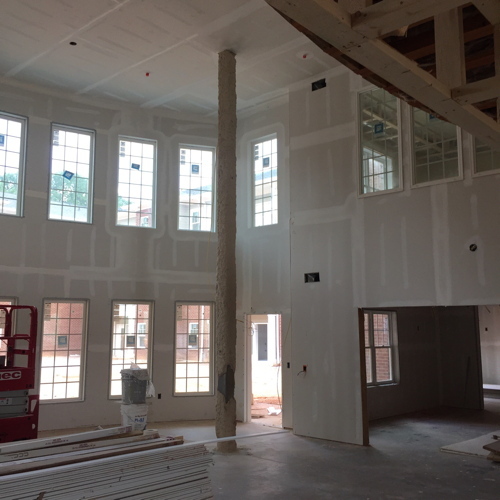 This is a view of the inner courtyard after a large portion of the large building was framed. 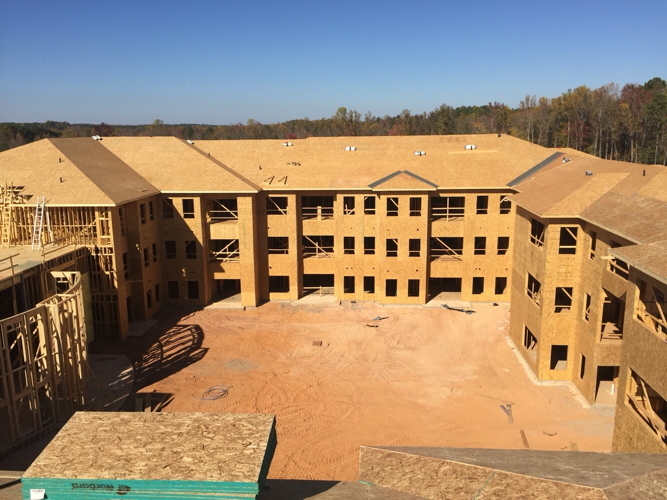 The large building moving closer toward completion. 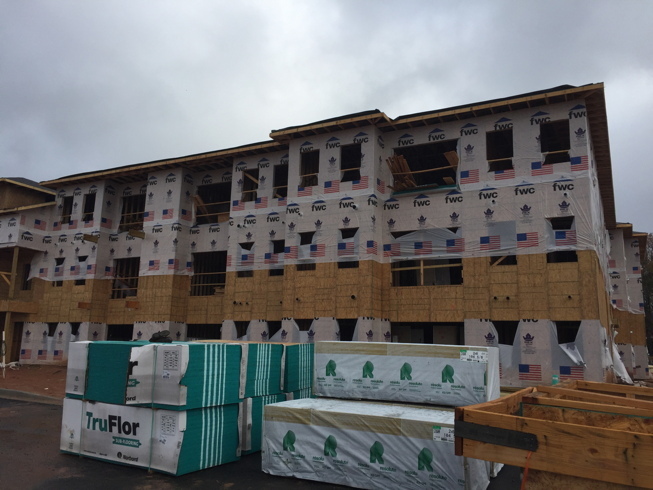 Front view of the large building as the siding and brick begin to be added. 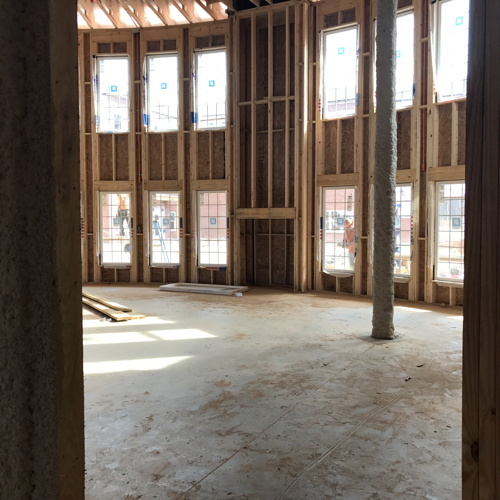 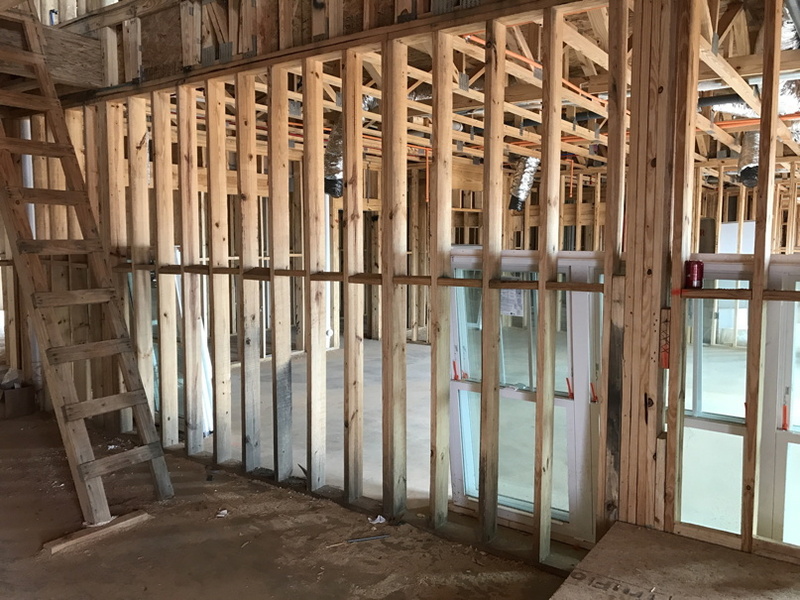 This is interior framing of one of the first floor units. 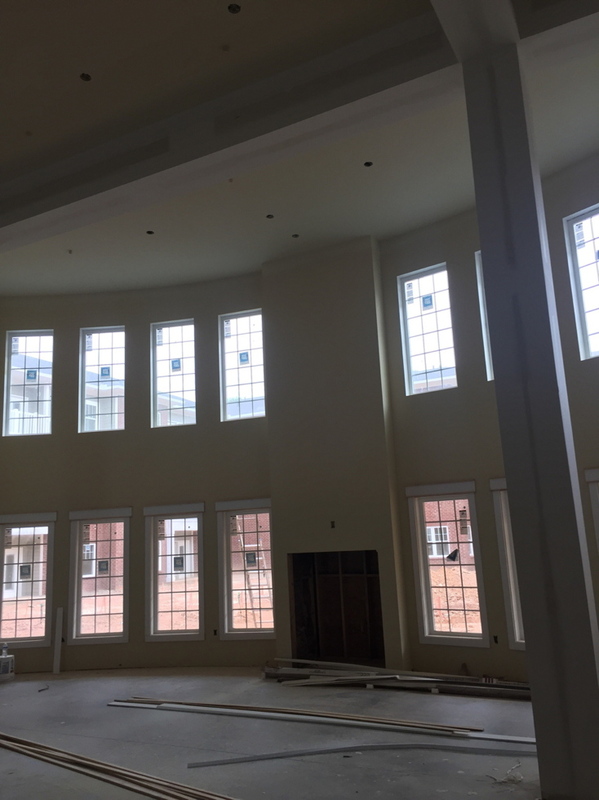 This is an interior view of the Grand Living Room across from the lobby. 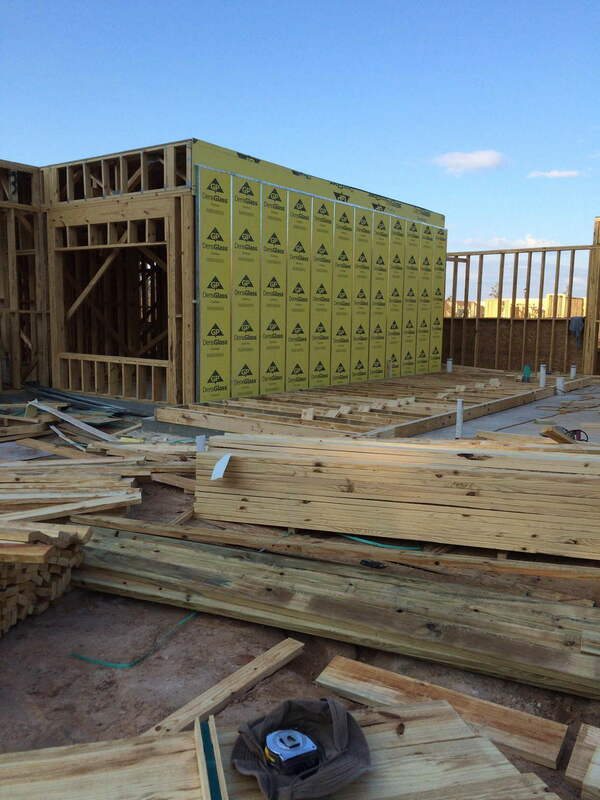 The exterior of one of the villas as it is nearling completion. 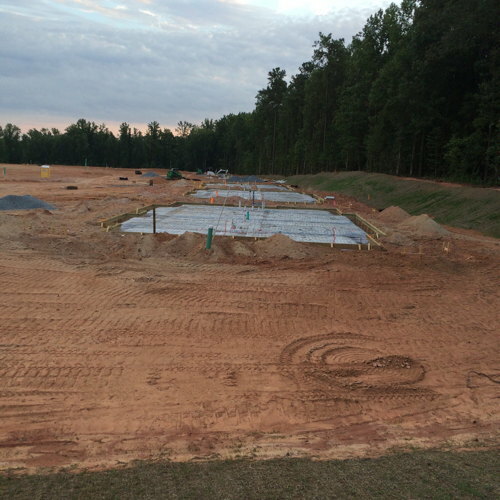 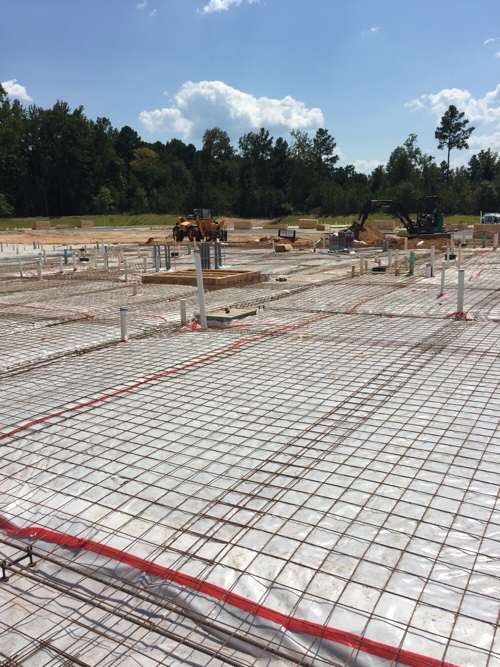 The foundations of the first few villas as they are being prepared for the concrete pour. 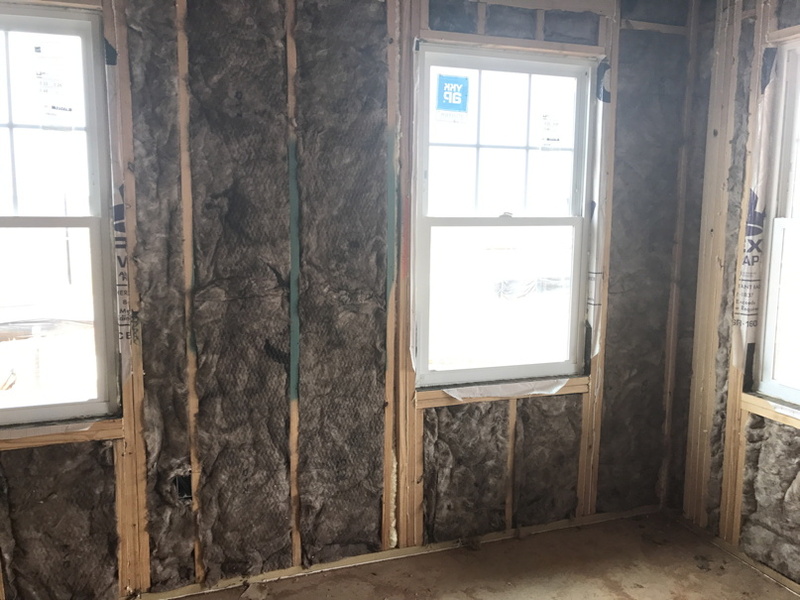 Insulation in one of the villas. 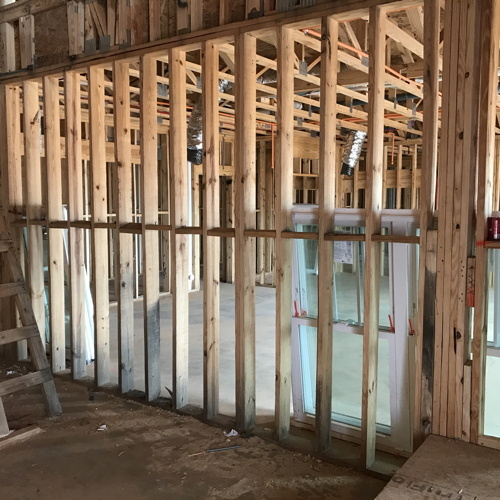 This is a view of the early interior framing in one of the villas. 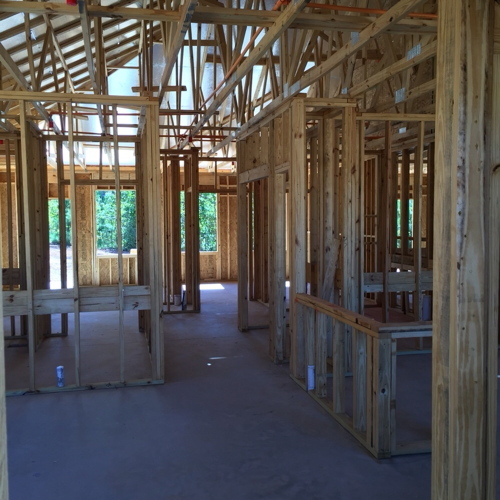 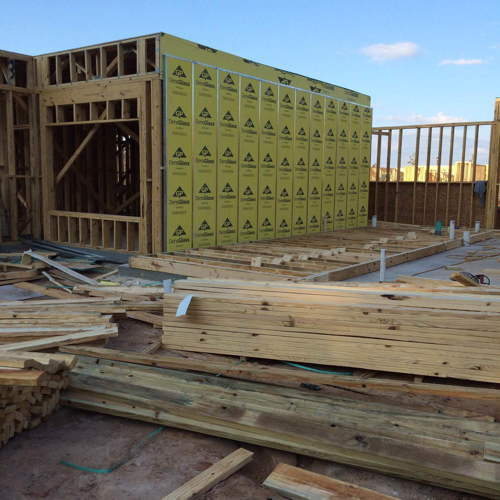 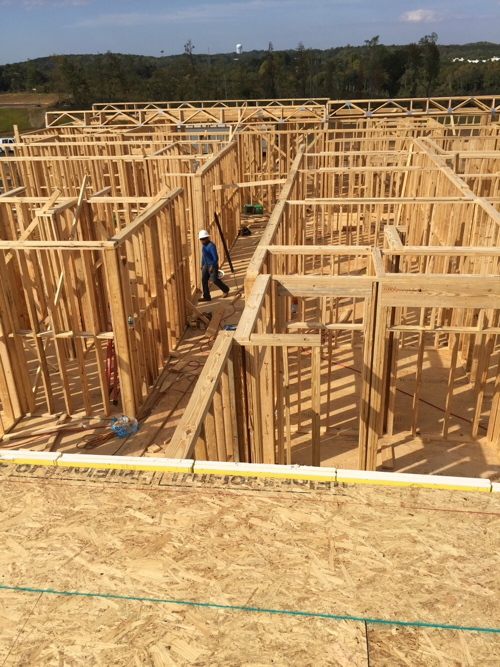 Framing in one of the villas just before sheetrock is to be hung. 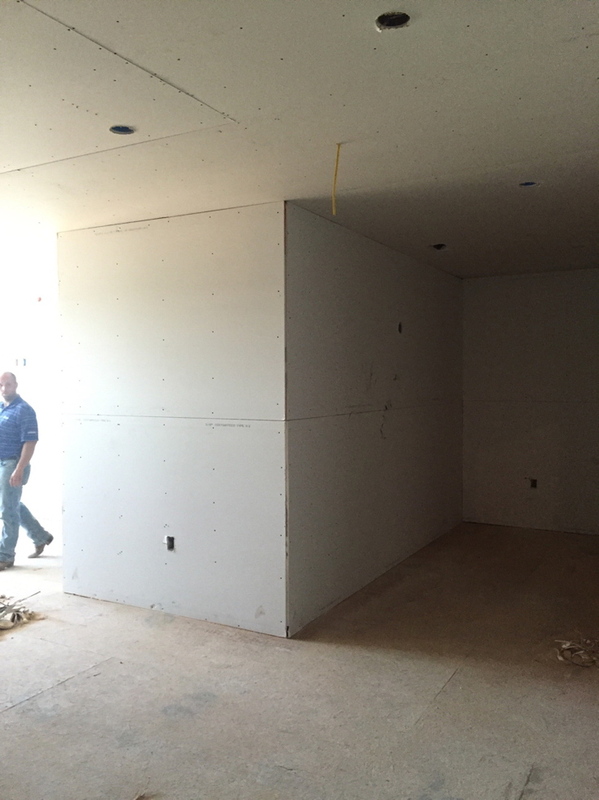 A view of the Grand Living Room after sheetrock was installed. 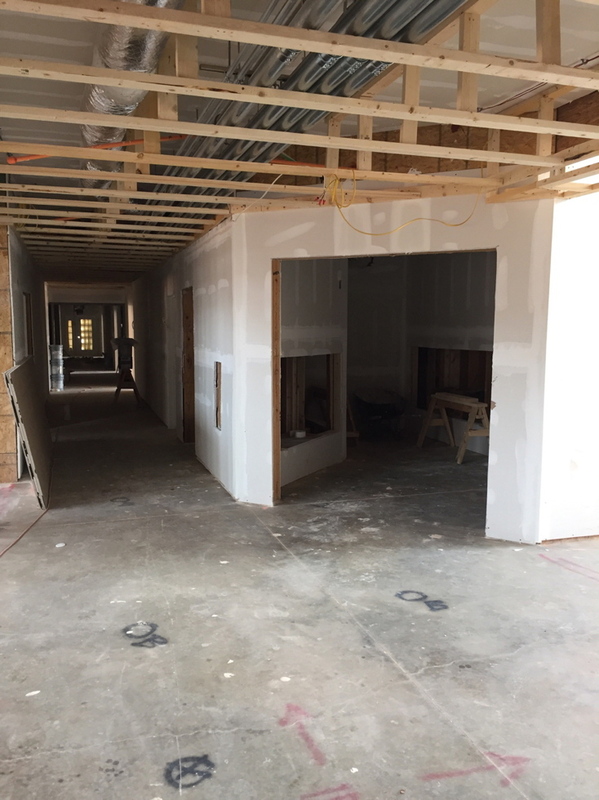 Rough sheetrock in the hallway. 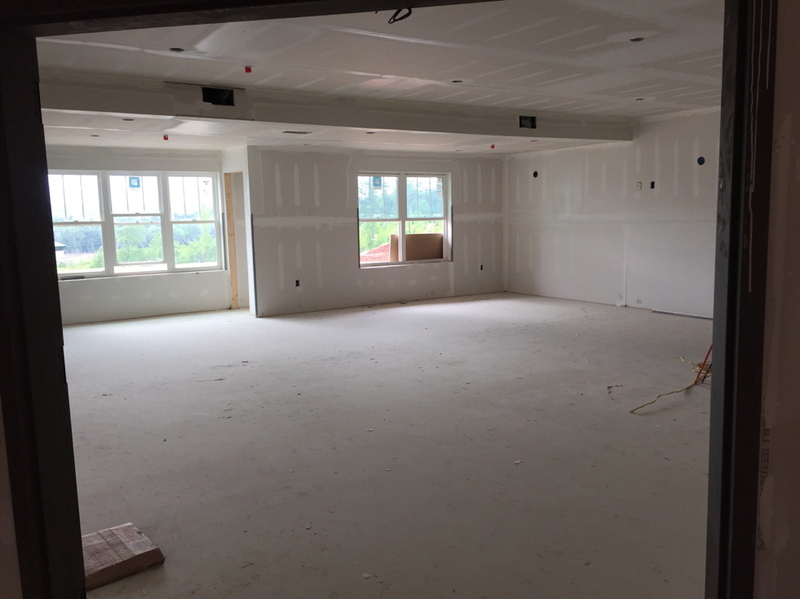 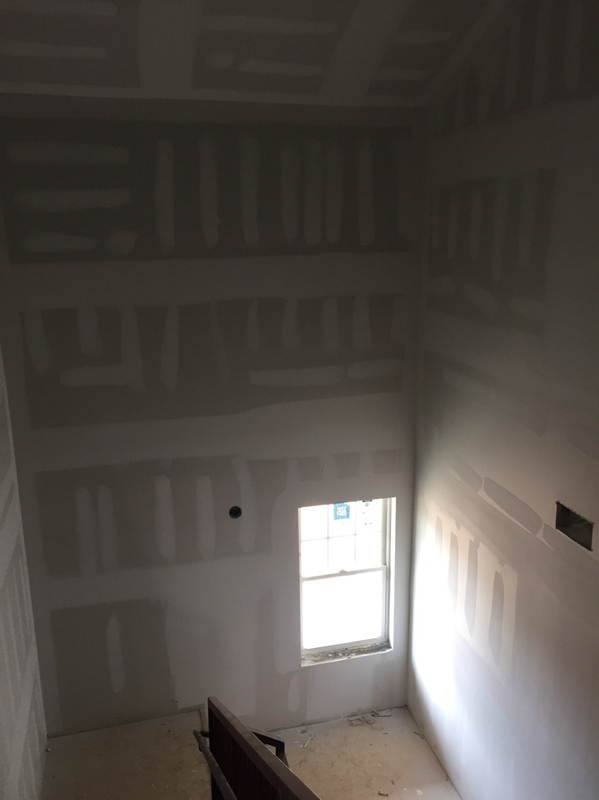 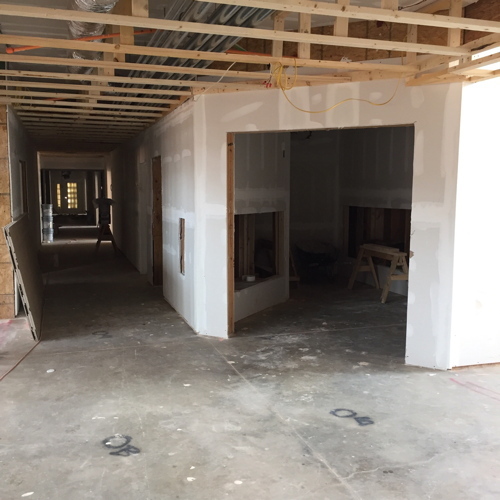 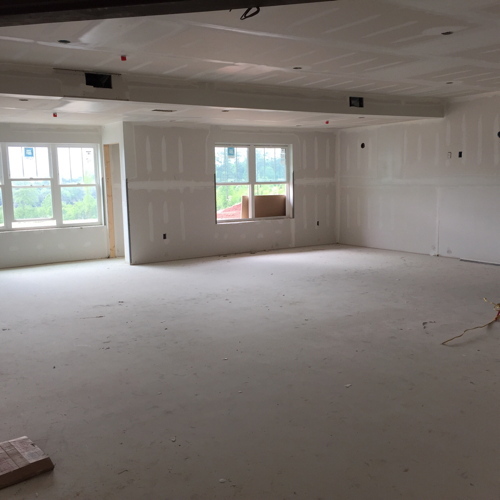 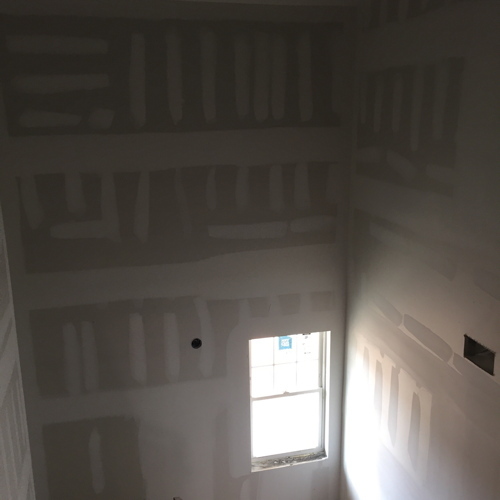 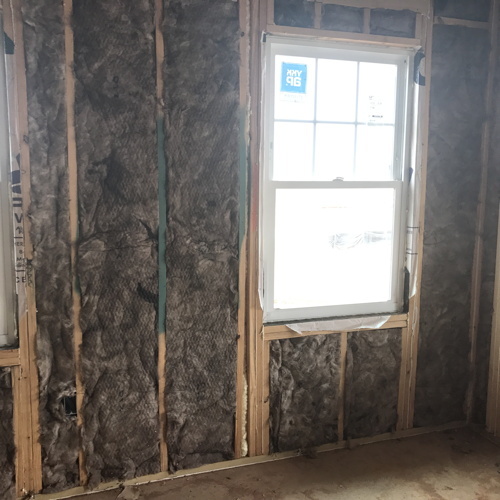 One of the community rooms after sheetrock was installed. 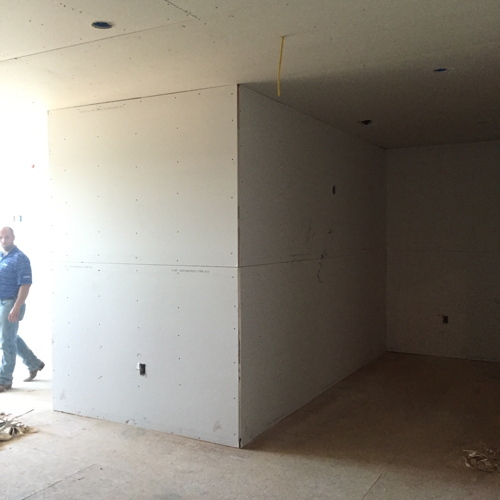 Unit interior at rough sheetrock. 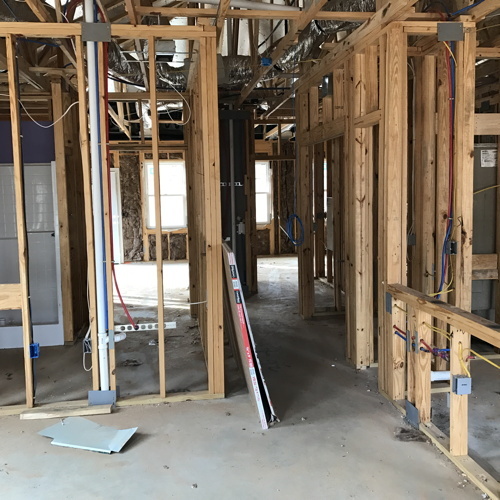 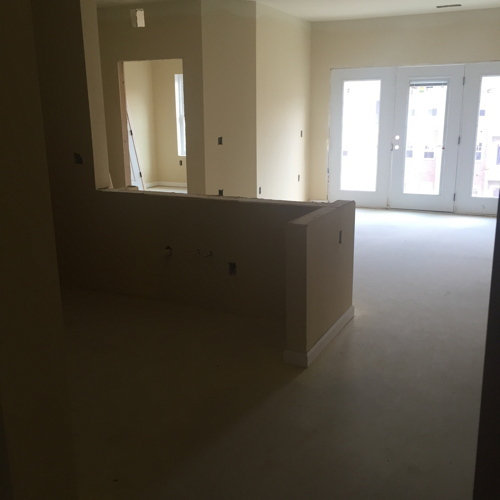 This is the interior of one of the apartments during preparation for completion. 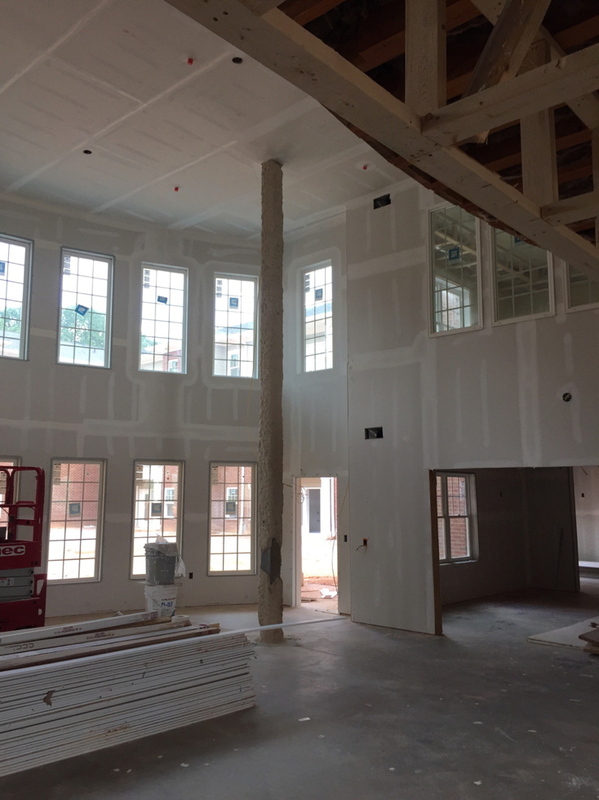 Another view of the Grand Living Room in the preparation for completion. 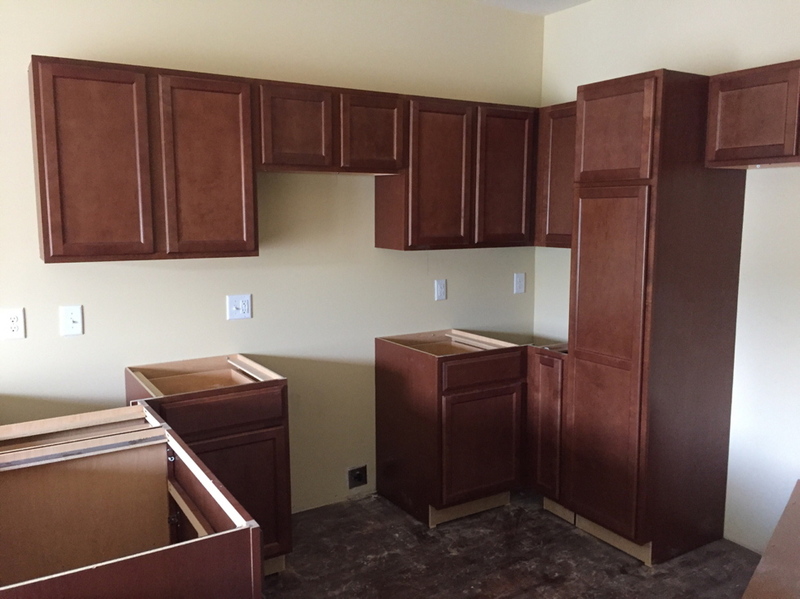 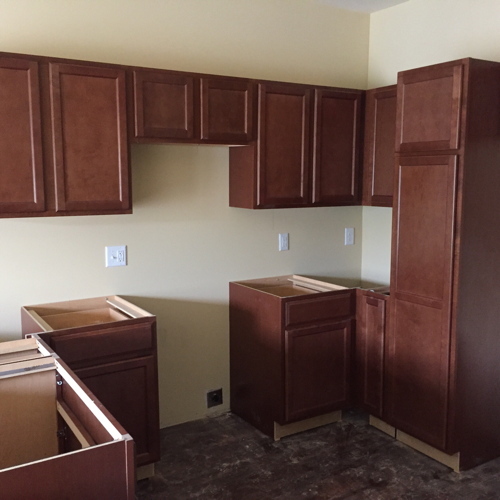 View of a kitchen in process. 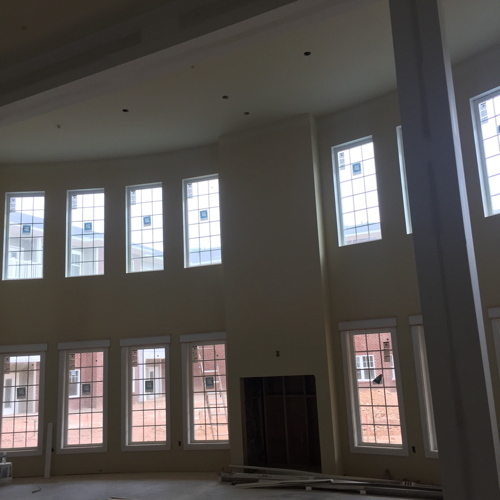 Exterior view of the Grand Living Room and patio.